Most people are only aware of Google search, but when they knew something new that there is NZB search too, so they tried Googling for it to learn more about it. NZB is a search engine which indexes NZB files. You may be aware of Torrent index. Just like Torrent index assist you in finding torrent files; same way NZB index helps you in finding NZB files. NZB files are XML based files and they are stored on Usenet server. In my earlier post I have mentioned about 9 best sites like Craigslist. Now today I will share with you my exclusive list of 12 best NZB Search Engines with free and paid membership. But before that let me tell you that this post is going to get updated in future based on technology updates. So don’t forget to subscribe to my email list and bookmark this post for future reference. Get $3.25 Off with our Newsbin Pro Discount Coupon, the best download tool for Usenet. The main benefit of NZB Search is that the search results are completely based on keyword you provide for indexing. It doesn’t work like Google Search where Google automatically index websites based on user queries. No need to share or seed the files you download in NZB Search. It gives the fastest download speed based on your plan. The main drawback is that you will have to learn NZB Search a lot in getting your files indexed properly. Small mistakes can create problems. NZB search engines are not as smart as Google search engine. So there might be problem in searching something on NZB, like for example you tried searching for Harry Potter 8 and you may not get proper results due to missing keywords or some difference of name in the file. So these were the main benefits and drawbacks of NZB Search. Now it’s time to share the list with you. I am going to share two lists with you. 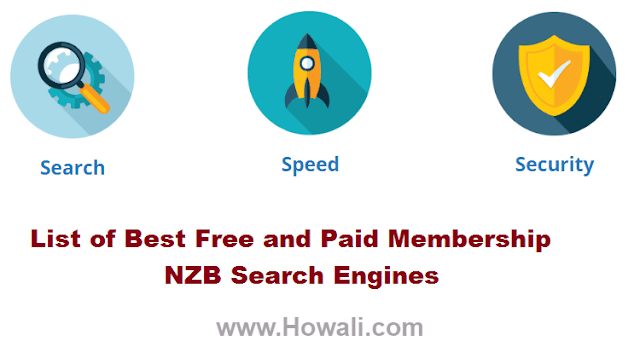 One is the NZB Search Engines List with Free membership which requires no registration on some website and the other list is of Paid NZB Search membership where you have to pay to use the services. 1. Binsearch - Binsearch is the most popular binary content search engine.It doesn't require an invitation or registration. Binsearch index is updated in less than 4 hours.It's free of cost, reliable and user-friendly. 2. NZBFriends - It's a Usenet search engine which provides RSS feeds for indexed news groups. It seems to be same like Binsearch. It supports NZB files, but it doesn't have an option to filter posts and partial files without .nfo files. 3. NZBIndex.nl - NZBIndex.nl is a binary newsgroup search which allows creation of NZB files. There is no limit to search popular newsgroups. So this is something better than Binsearch. There is an advance search option which allows to customize your search experience as per age, size, groups, etc. 4. NZB Club - NZB Club is a free NZB Search website which requires no registration. It also has a paid service which I will discuss in the paid membership section. You can see .nfo files on your browser before downloading it. You can also limit the results of .nfo files. 5. NZB Planet - NZB Planet has open registration. It has over 125000 members registered. It is one of the best NZB search engines. Users are limited to five download per day in newsgroups, etc. 6. NZBIndex.com - NZBIndex.com is an another free NZB search engine with open registration. We recommend this to our readers because it is almost same like Binsearch, but the design is much better than Binsearch. It's one of the best feature is that there is no limitation on searches to popular newsgroups. These are some good reputed NZB search Engines. Some of these site requires a membership, while other sites are also good. 1. NZB.is - NZB.is is a good site compared to other search indexes. It claims to be the fastest growing Usenet index website. Users have an option to search files by their type, audio format, etc. They also have an advance search option with age limit, news group, poster, etc options. Membership cost around $10 for lifetime. 2. NZB Planet - NZB Planet has open registration with over 125000 members. The registration fee is $12 per year. It has one of the good index compared to other NZB search engines. 3. GingaDaddy - GingaDaddy has open registration with over 40,000 members. It's paid membership costs $15 per year. Free users have option to download 3 times a day. It's not good for people who are looking for a free option. 4. OZnzb - Oznzb has open registration. It has both free and paid option. It costs $16/yr or $55 for lifetime. It has good index but you need to fill captchas. Free accounts has limitation of 5 search in a day. 5. DOGnzb - DOGnzb is a private NZB Search engine but it is open for registration every few weeks. You have to check on their website for next registration date. No free accounts are allowed. It costs $10 for lifetime in DOGnzb. 6. NZB.su - NZB.su is an invitation NZB search. It only accepts invite registration. It costs $14/yr to become a member of NZB.su. There are no open registrations. It has over 15000 members. So these were the top 12 free and paid NZB search engines. Do let me know through comments how this article has helped you and which NZB Search Engine you are using right now. Don’t forget to subscribe to my email list for more helpful tips. If you like this post then do give us a +1 and a Facebook like. You can also share this post with your friends from the social network buttons below. why aren't the latest releases posted on NZB indexers ?